That’s interesting because most people say they would not use a search engine if the paid and natural results were confusing – according to this new report the average visitor can’t tell the difference anyway. Other data I’ve read (and I can’t find the source at present) tells me that only 17% look at the PPC ads down the side, and just 3% click on them (that’s 3% of the total visitors, not 3% of the 17%). 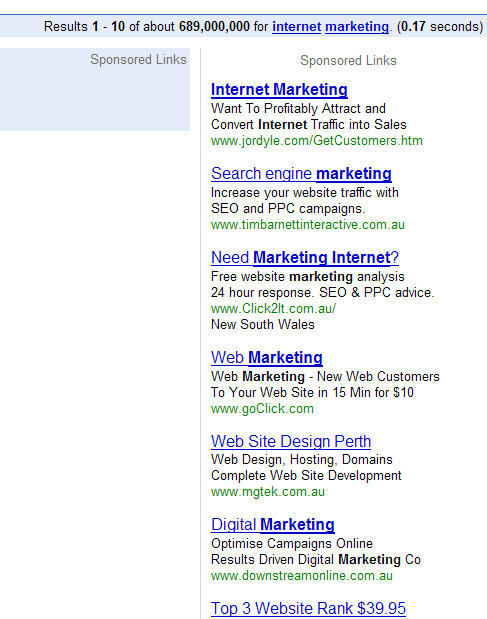 To the left is an example of Google Ads displaying down the right hand side of their page. 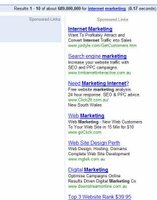 What that tells me is that search engine optimisation and Pay Per Click advertising both play important roles in your online marketing efforts. If you’re not implementing Pay Per Click strategies, now might be the time to do it.